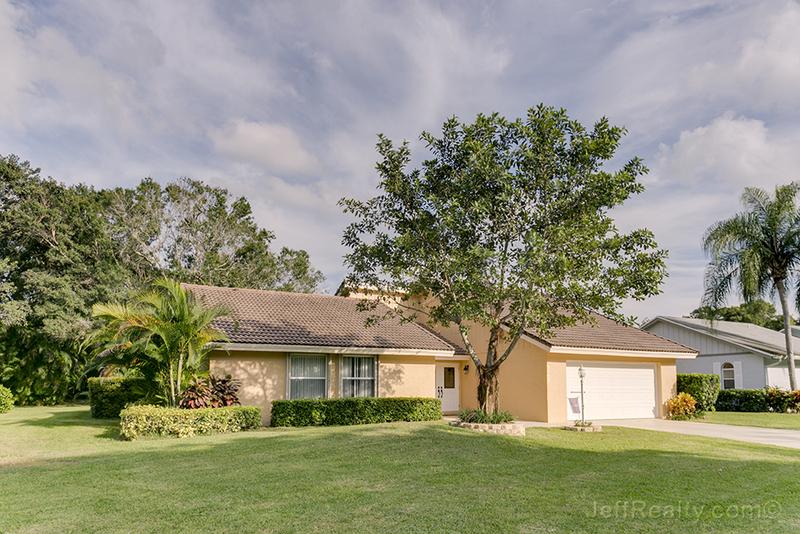 Open and bright 3BR/2BA home at 6148 Celadon Circle in the established Palm Beach Gardens neighborhood of Eastpointe. The kitchen is completely remodeled with new stainless appliances, wide granite countertops, decorative backsplash, double sink, and lots of storage. The master bedroom features volume ceilings and sliders leading to the patio, His & Hers closets, one walk-in, both with built-in shelving. The master bathroom features all new double-wide shower, granite vanity with double sinks, and upgraded cabinets. 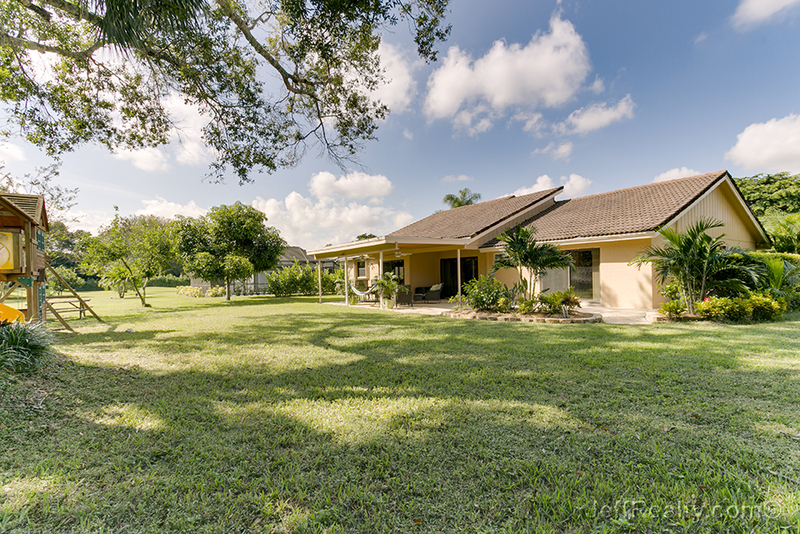 The large backyard is pool-ready and features custom landscaping, mature trees, and privacy. Volume ceilings, neutral tile, and lots of windows keep the Florida sun in and make family living and entertaining easy and fun. 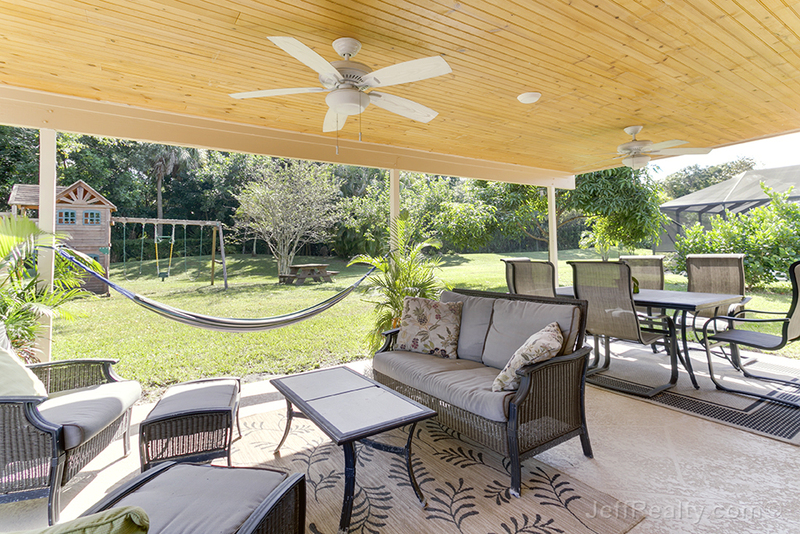 The patio features a stained pine ceiling with double fans and plenty of covered area for outdoor dining and Florida living. A two-car garage, mature trees, and thoughtful additional landscaping make this warm and open house on a quiet street a real home. Posted in Eastpointe, Eastpointe homes, Eastpointe homes for sale on October 21, 2015 at 4:43 am.